To hear John’s story read by Andy Middlemiss DL, Lt Col (ret); please press play on the audio file. John Brodie Boyd was born in Scone on 8th October 1872 to William Wilkie Boyd and Isabella Boyd. His parents had married in Kettins in 1861. At the time of John’s birth, the family was living in Coupar Angus Rd, Scone and his father was a grocer. John’s father died of heart disease in 1876, aged 38, and his mother took over the grocery business, helped by her daughter, Clementine. John studied medicine at Edinburgh University and was registered in the Medical Register in July 1900, graduating M.B. Mast. Surg. He spent some time in South Africa as a surgeon during the Second Boar War and was awarded the Queens South African Medal and Clasp. In 1910 he was back in the UK working in Durham as an assistant medical practitioner. He is also recorded as having worked on board ships. 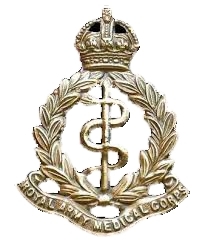 In 1915 John, now aged 44, enlisted in the Royal Army Medical Corp. While serving in Gallipoli he contracted dysentery. Captain John Brodie Boyd was invalided back to the U.K. and died from pneumonia on 8th July 1919, aged 48. His body was brought home to Scone and he was buried in Scone Cemetery. John Brodie Boyd was my grandmother’s uncle. Her mother was his sister Elizabeth Boyd. I have several photos of him and his family just before he and his brother went to serve in the first world war. I have been trying to discover more about his life and was so pleased to read your article. It was our honour to remember a very brave man. His memorial plaque can be seen in Balforno road Scone (just off Angus Road) John’s story reader’s Grandfather, was also a Medic the Great War. how to arrange this? We were interested to hear about the memorial in Balformo Road, is this near the site of the Sylverton house where John lived and which was sadly knocked down in the 1990s?